Delivery from £5.50 to United Kingdom in 1 - 2 working days. The industrial trend is transforming the interiors of homes and business around the UK and beyond. 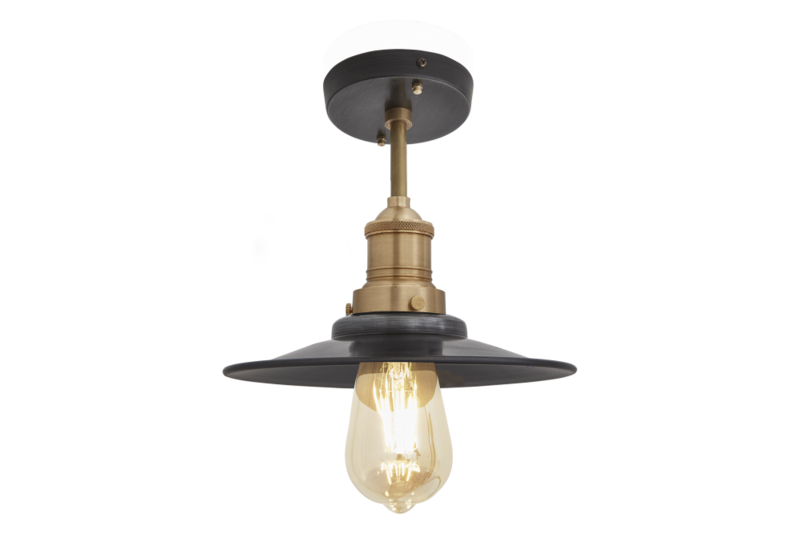 Our Flat 8-inch is available with a matching Brooklyn wall light and flush mount, and is part of a set, with a slightly bigger variation also available. When used together, particularly when hung in 3s and 5s, the lighting makes for an urban setting that is truly harmonised and perfect for restaurant lighting. Each fixture is available with different pendant holders and comes with 1m of black round flex cable, meaning lights can be suspended as high or low as you like. Industville is a rapidly expanding company specialising in the manufacture of unique industrial vintage reproduction lighting and furniture.